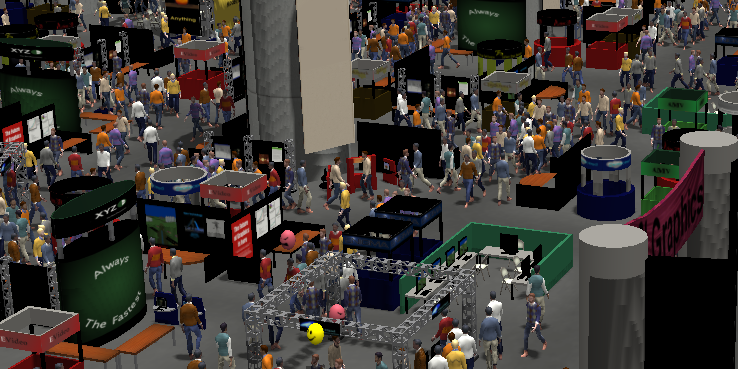 We present Menge, a cross-platform, extensible, modular framework for simulating pedestrian movement in a crowd. Menge's architecture is inspired by an implicit decomposition of the problem of simulating crowds into component subproblems. These subproblems can typically be solved in many ways; different combinations of subproblem solutions yield crowd simulators with likewise varying properties. Menge creates abstractions for those subproblems and provides a plug-in architecture so that a novel simulator can be dynamically configured by connecting built-in and bespoke implementations of solutions to the various subproblems. Use of this type of framework could facilitate crowd simulation research, evaluation, and applications by reducing the cost of entering the domain, facilitating collaboration, and making comparisons between algorithms simpler. We show how the Menge framework is compatible with many prior models and algorithms used in crowd simulation and illustrate its flexibility via a varied set of scenarios and applications.